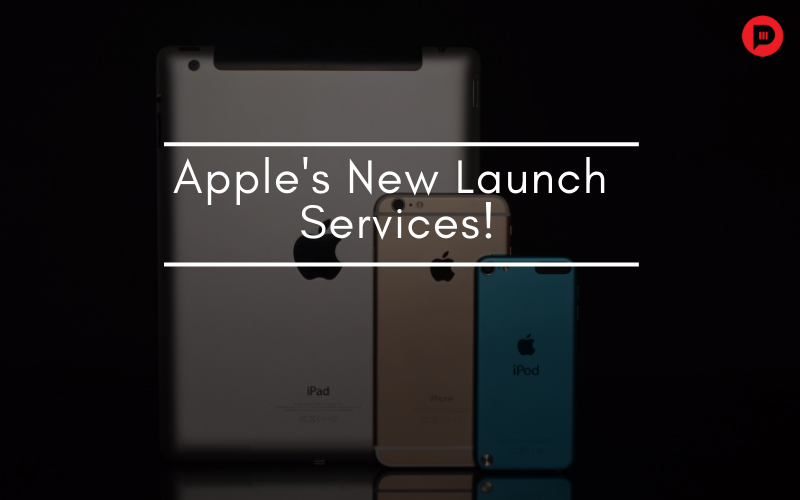 You are at:Home»Digital»Apple Pushes Beyond Iphone with Launch of New Services! Apple shifts the focus of marketers with an eye to gain a new legion of followers. Apple now offers a solid alternative to ad-supported internet content. Trying all hands on different divisions with new offerings and services, like Apple News+, Apple credit card, Apple Arcade, and Apple TV+. These services will largely be ad-free. It is an upgrade to the Apple news app that bundles both news and magazine publications for a monthly fee of $9.99. This service launches in the United-States and Canada with the first month free. Apple News+ will house about 300 magazines, including Vogue, The Fast Company, The New Yorker, Esquire, The Atlantic, GQ, National Geographic and much more. It will also occur the curated news from leading print publications such as The Wall Street Journal, and digital media platforms. Apple had managed to collect a substantial number of participants. Although The Washington Post and The New York times have opted out of Apple’s new subscription service. In addition, Apple claims that it won’t allow advertisers to track, neither would it share user data with advertisers. So what you read on Apple news will not follow you across the web. Apple doesn’t allow advertisers to track you. Cook also revealed, that more than five billion articles are read on Apple news app every month. A new kind of credit card! The most treasured source of data for a marketer, a credit card is very different in Apple’s new embodiment. The Apple Card! Apple is entering the credit card business in partnership with Goldman Sachs and Master Card. This card is uniquely designed, with NO card number, NO security code, NO expiration date, and NO signature. How? All the authorized details of the customers are stored in Apple Pay App. This Apple card promises lower interest rates and better rewards. Jennifer Bailey, VP of Apple Pay, unveils that the company will never know, what you shopped for, where you shopped, and how much you paid for it. So, features like Spend Tracking and Categorization all happen using a device intelligence and not on Apple servers. And this data will never be shared or sold to the third party for marketing and advertising. They are the company’s new subscription services for games and video content, respectively. Each of it will be subscription based destinations for original and exclusive content. The service will offer users an ad-free gaming experience on iPhone, iPad, Mac, and Apple TV. And will launch in 150 markets this year. Apple is, however, yet to reveal the pricing of the service. The company is working with a bunch of gaming content creators. These games can be downloaded from the App Store and Apple Arcade and can be shared by up to six family members. Apple’s TV+ aims to be a one-stop shop for video content, where users can access their cable TV and Subscription services in one place. In this all in one app, you only pay for what you want whether online or offline on demand and ad-free. The event was star-studded with everyone from Jennifer Aniston, Reese Witherspoon to TV host Oprah Winfrey and director Steven Spielberg. They made appearances at the event that brings Apple into direct competition with Netflix and the rest of the entertainment sector. “We all want to be heard, but we also need to listen… to be able to harness our hopes and dreams and heal our divisions. That is why I have joined forces with Apple. The Apple platform allows me to do what I do, in a whole new way,” Winfrey told a packed audience in the Steve Jobs Theater on Apple’s campus in Silicon Valley. Previous ArticlePlan Your Campaigns for April with Twitter Marketing Calendar! Next Article 3 Ways Consumer Shopping Is Reforming in 2019!